Chris and I have been craving healthy dinners the past few weeks, so I've been perusing my "Healthy Eating" section for some recipe inspiration. Salads always seem like the way to go, but I find myself having to add a lot of fixings so that we aren't starving a few hours later. 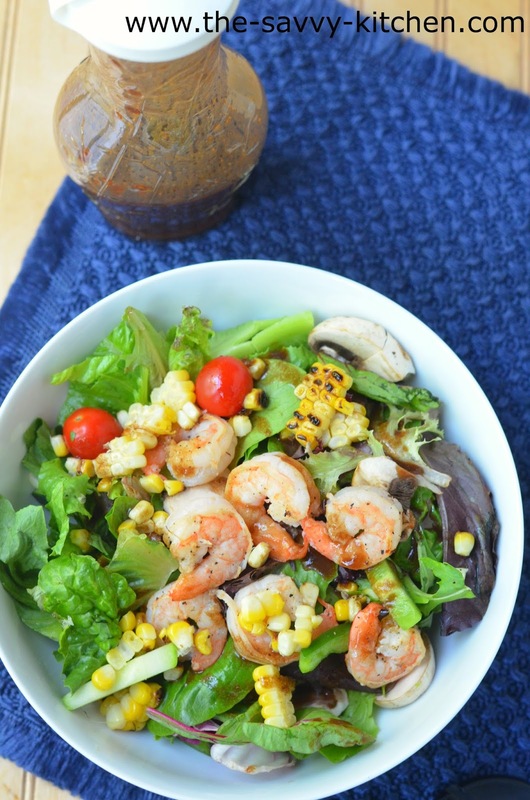 A simple protein (like shrimp) and tons of other vegetables are an easy way to load up a salad and make it a hearty main course. Top with a delicious vinaigrette and you're done. Enjoy! 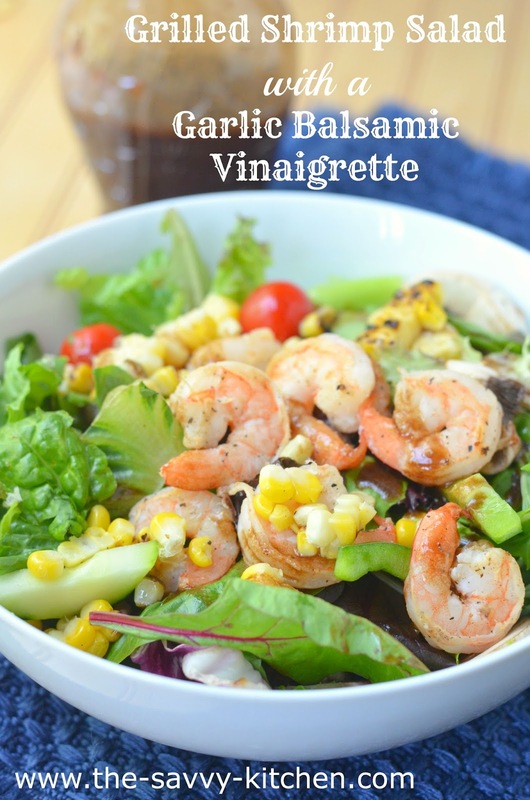 In a small bowl, combine the balsamic vinegar, garlic, salt, pepper, sugar and Dijon. Slowly whisk in the olive oil and set aside. Meanwhile, sprinkle the shrimp with salt and pepper. Lightly spray a grill pan with cooking spray. Add the shrimp and cook for 2 minutes per side or until pink. Remove from the grill and set aside. Add the corn to to a dry skillet and cook for 3-4 minutes or until begins to char. Add the salad greens to a bowl. Top with corn, tomatoes, green peppers, cucumbers, mushrooms and shrimp. Drizzle salad dressing over top.